Ka Papa Kai is a program designed for students in grades four and up that teaches marine science through fun, hands-on lessons and activities. Classes are held on-site at Sharks Cove in our “classroom without walls” two Saturdays per month in January through June for our Winter/Spring program, five days in July for our Summer program, and two days in October for our Fall program. Children, especially those here on the North Shore, know a whole lot about what is going on on top of the ocean. They know what it’s like to play in the shore break, or catch a fun wave…but what do they know about what’s going on under the ocean? What causes those fun waves? What is reef? What makes it healthy? What are the species that live in the ocean, and what role do they play? How can we help keep the ocean healthy? This is where Ka Papa Kai comes in. In ‘ōlelo Hawai’i (Hawaiian language), Ka Papa Kai roughly translates to “The Seaside Class”. It can also mean “The Reef of the Sea.” The kaona (hidden meaning) of the term implies learning about the sea, while being at the sea. So many children in Hawai’i today don’t get an opportunity to learn hands-on about marine science. Ka Papa Kai is a fun way to both learn about and help steward our fragile marine resources. Ka Papa Kai teaches marine science, conservation, and stewardship. 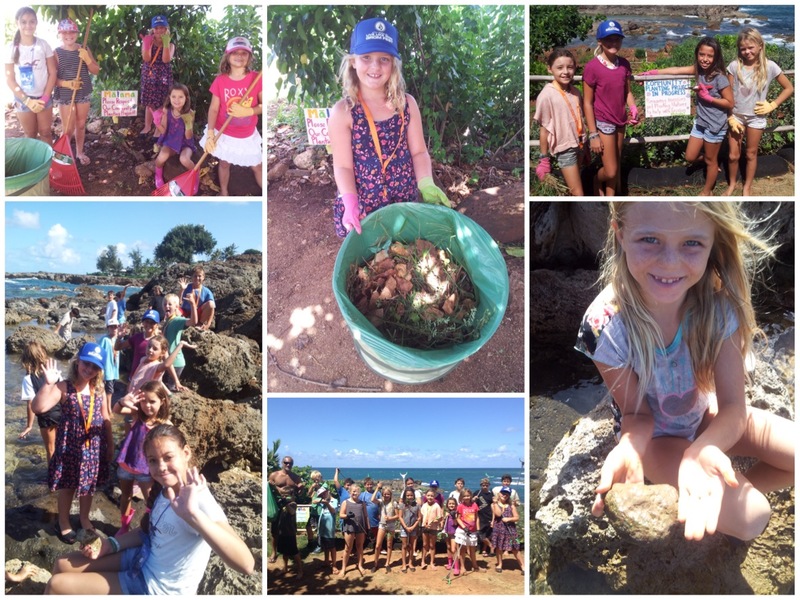 marine debris, beach clean-ups and creative art…and much more! Click here to read updates from the Ka Papa Kai program. Mahalo to the Johnson ‘Ohana Charitable Foundation for its support of this program directly benefitting the North Shore’s youth. MPW would also like to send a big mahalo to VOLCOM for supporting us by donating rash guards to our Summer Ka Papa Kai Marine Science for Youth program. Our students will be easily identifiable in the water and protected from the sun. Mahalo!